Fast Relief For Arthritis & Joint Pain. Natural, Deep Penetrating Pain Relief. Clinically Proven Effective Pain Relieving Gel for Arthritis, Rheumatism, Tendinitis, and Backache. 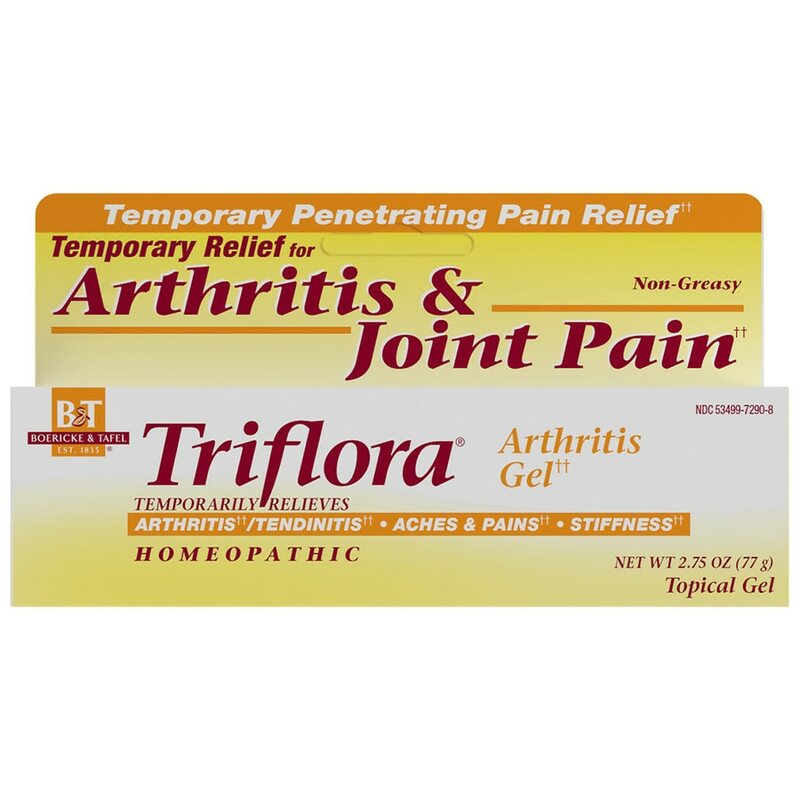 Triflora® Arthritis Gel contains natural medicines to relieve aches, pains, and stiffness in joints and muscles. In addition to improving mobility, Triflora Gel is a safe, effective topical analgesic and can be used along with other medications. 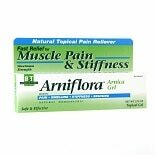 Clinically tested, Triflora Gel provides relief for 8 out of 10 arthritis sufferers. The witch hazel base is soothing to the skin, not greasy, and does not burn or chill. Triflora has a pleasant, herbal fragrance. Triflora Gel is not tested on animals nor does it contain animal by-products or petroleum. For adults and children 2 years and older: Massage gently into affected area not more than 4 times daily. Children under 2: Consult a doctor. ©2005 Boericke & Tafel, Inc.
To help you take good care of yourself, we offer the following: For external use only. Avoid contact with eyes. If condition worsens or symptoms persist for more than 7 days or clear up and recur again within a few days, discontinue use of this product and consult a doctor. Do not use this product if you are hypersensitive to any of the ingredients. Keep out of the reach of children. In case of accidental ingestion, seek professional assistance or contact a Poison Control Center immediately. Temporary relief of minor aches, pains, and stiffness of muscles and joints associated with arthritis, rheumatism, tendinitis, and simple backache. Boericke & Tafel Arniflora Ar...2.75 oz.